Cosmetic Procedures Let You Love Your Smile! Do you feel self-conscious and frustrated when you see your smile in the mirror? You are not alone – most adults feel this way. While oral health is important to the team at Billings Bridge Dental Centre, we also want to help our patients achieve the aesthetic value they want. That's why we offer a range of cosmetic services that can raise your enthusiasm for your smile! Contact us today if you want to schedule a consultation here in Ottawa. Most think of teeth whitening or porcelain veneers, but cosmetic treatments can help improve your appearance, self-esteem, and improve your oral health. Today, cosmetic services have evolved to include procedures that can address the functional and aesthetic concerns of patients. The purpose of cosmetic services is to create a positive change in your teeth and smile. Every smile is unique. That’s because each person has a different perception of what is beautiful so, it’s important that you discover what you like and then communicate that to our dentist. At Billings Bridge Dental Centre our mission is to help patients maintain their oral health, function, and youthful appearance. We understand that beauty is deeper than skin, and cosmetic services should complement your overall general and oral health. We work with you to ensure any decision on cosmetic dental treatment is based on clinical judgment. We offer a variety of cosmetic treatment options and good counsel to go along with that treatment. We know that it all comes down to how comfortable you feel about the time, cost, and intensity of your treatment. Many patients are overwhelmed by the number of cosmetic flaws they want to correct in their smile. Instead of undergoing multiple treatments and appointments, porcelain veneers can simplify your makeover plan. Veneers are extremely thin restorations made from dental porcelain. Our dentists can place them on the requested teeth's front surfaces, hiding their appearance entirely from view behind a refreshed replacement. Restorative care may become necessary when a natural tooth is injured, weakened, or otherwise damaged. Unfortunately, for this type of treatment, many patients postpone visiting the dentist's office because they were worried about getting a drastic, dark-colored addition to their natural smile. Fortunately, we offer metal-free dental restorations! These crowns, inlays, onlays, and bridges are the perfect blend of durability and aesthetics, made from bio-compatible dental ceramics. 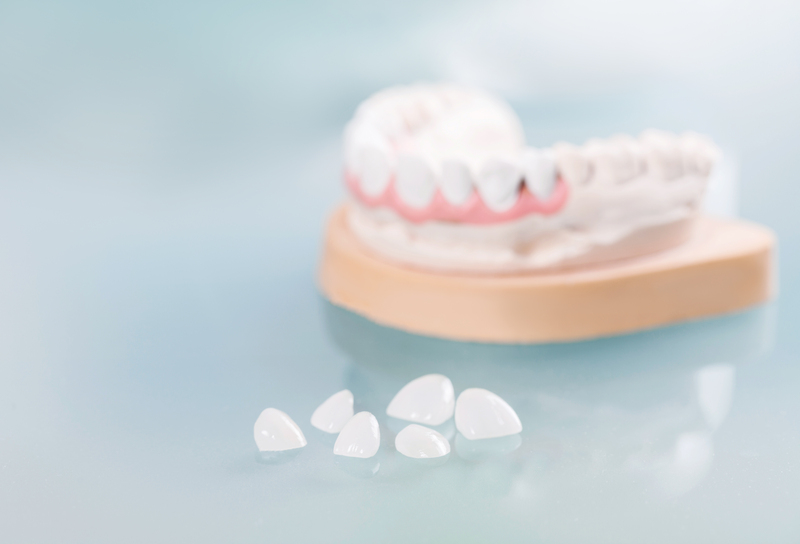 If you have a relatively minor dental flaw, such as a small enamel chip or a stained spot, direct cosmetic tooth bonding is the fastest way to restore a tooth. In most cases, only one appointment will be needed for this procedure. One of our experienced dentists will apply tooth-colored composite resin (the same material that we use for fillings) to the area and carefully sculpt it to blend naturally. Direct bonding may not be as permanent as veneers, but you can still expect to enjoy the improvements for a long time when you take care of them properly. That means brushing and flossing regularly and visiting our team at least twice a year. Over time, the appearance of teeth can become discolored, stained or dull. If you need to refresh your enamel, talk to our team about going through professional teeth whitening here in Ottawa. We offer ZOOM! in-office professional products as well as take-home kits. If you are interested in immediate results, our in-office procedure takes only one appointment and can brighten your smile dramatically by up to six shades. Alternatively, it is possible to use take-home kits on a more flexible schedule from the comfort of home. A few weeks of consistent use will achieve noticeable, beautiful improvements. Do the words "short" and "gummy" come to mind when asked to describe your smile? Unfortunately, even the brightest teeth can be diminished by the excessive and uneven amount of gum tissue. Our dentists offer aesthetic gum recontouring as an effective way to solve the problem and help your confidence flourish! To create a much more symmetrical look, they will precisely eliminate excessive tissue and reveal any unnecessarily hidden dental structure. Our team is committed to serving every aspect of your smile. We would like to help each patient achieve memorable dental aesthetics. To schedule a cosmetic consultation, call our dental practice in Ottawa today!